Fitness monitors reveal more information than most people realize. For example, it may be possible to infer someone’s religious beliefs from their heart rate data. If you have location data, it’s trivial to tell whether someone is attending religious services. But you could make a reasonable guess from cardio monitoring data alone. Muslim prayers occur at five prescribed times a day. If you could detect that someone is kneeling every day at precisely those prescribed times, it’s likely they are Muslim. Maybe they just happen to be stretching while Muslims are praying, but that’s less likely. It should be possible to detect when a person is singing by looking at fitness data. If you find that someone is singing every Sunday morning, it’s likely they are attending a church service. And if someone is consistently singing on Saturday evenings, they may be attending a large church, likely Catholic, which added a Saturday night service. Maybe they just have Saturday evening voice lessons, but attending a church service is more likely. Maybe you could infer that someone is an observant Jew because they unusually inactive on Saturdays. Of course a lot of people take it easy on Saturdays. But if someone runs, for example, six days a week but not on Saturdays, something you could certainly tell from fitness data, that’s evidence that they may be Jewish. Not proof, but evidence. All these inferences are fallible, of course. But that’s the nature of most privacy leaks. They don’t usually offer irrefutable evidence, but they update probabilities. One of the contributions of differential privacy is to acknowledge that all personal data leaks at least a little bit of information, and it’s better to acknowledge and control the amount of information leak than to pretend it doesn’t exist. By the way, if you to keep your Fitbit data from revealing your religion, you might reveal it anyway. This is called the Barbara Streisand Effect for reasons explained here. If you take off your Fitbit five times a day, just before the Muslim call to prayer, you’re still giving someone who has access to your data clues to your religious affiliation. 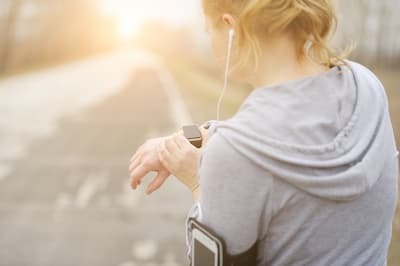 Last year, The Correspondent published a story about more straightforward privacy leaks from fitness apps used by military and intelligence personnel. Details here: https://decorrespondent.nl/8481/heres-how-we-found-the-names-and-addresses-of-soldiers-and-secret-agents-using-a-simple-fitness-app/412999257-6756ba27. I know you live in a god-bothering country but suggesting that singing on Saturday nights is “more likely” evidence of church going than having singing lessons is a real forking path though a multiplicity of possible data and probabaly a base-rate fallacy to boot. Every foo nowes that Saturday night is at the disco and singing along, notwithstanding every rock band, classical choir etc :). Aside from religious services, there aren’t many places people sing regularly. Someone may sing along with a cover band at a restaurant, but few people would do that routinely. At one time people would gather in homes to sing madrigals. That sounds like a lot of fun, but it’s a lost custom.